The meal started out with a nice cup of kelp tea (considered first course), it was definitely unique and quite tasty if you like seaweed. 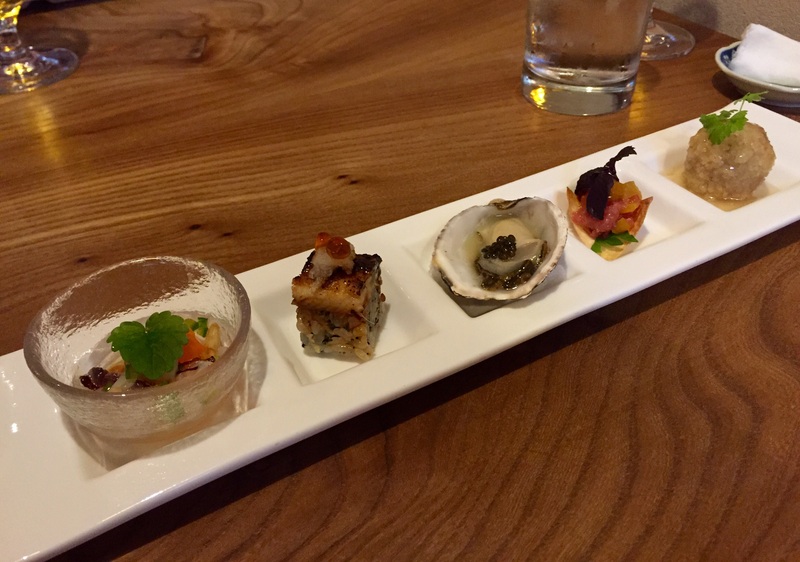 There are 8 courses in total, most of the them are small in size but pack a bunch of flavor. The last course (the finale) you can choose between the Toro or the grade 5 wagyu beef. Since I love both, I had the opportunity to get the one I didn’t choose at the end of the meal! 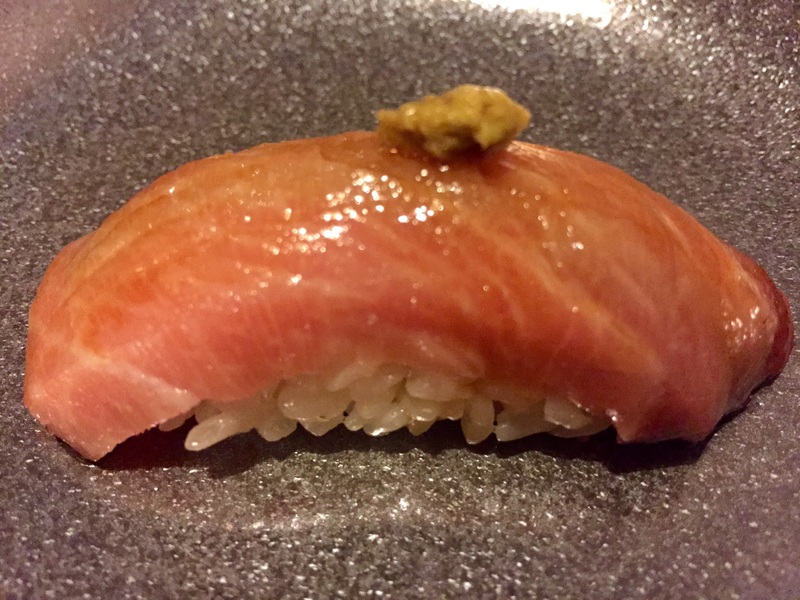 Overall this place has great sushi, mouth-watering Wagyu, melt in your mouth Toro, and some amazing hot dishes as well! Second course: Sashimi on ice (tuna and scallops) – sweetest and most delicious raw scallops I have ever had! 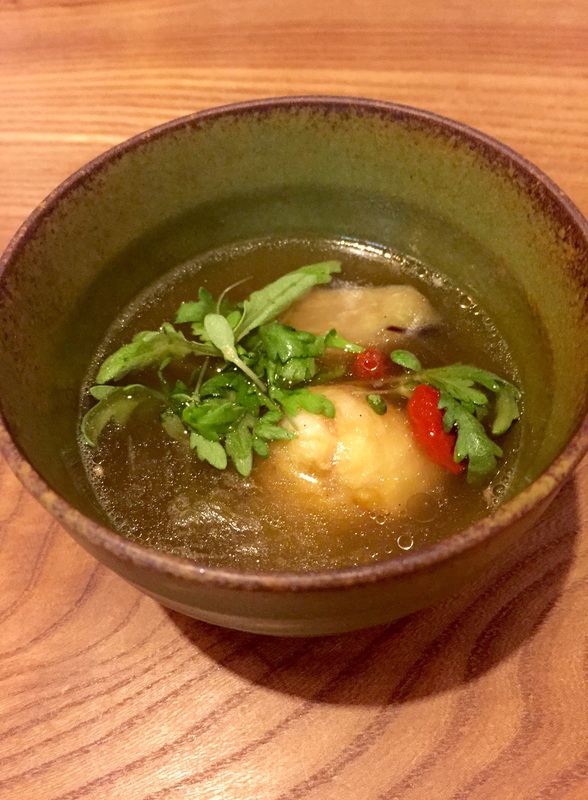 Third course: Fish cake soup (with corn inside) – amazing flavor, I really enjoyed this dish! 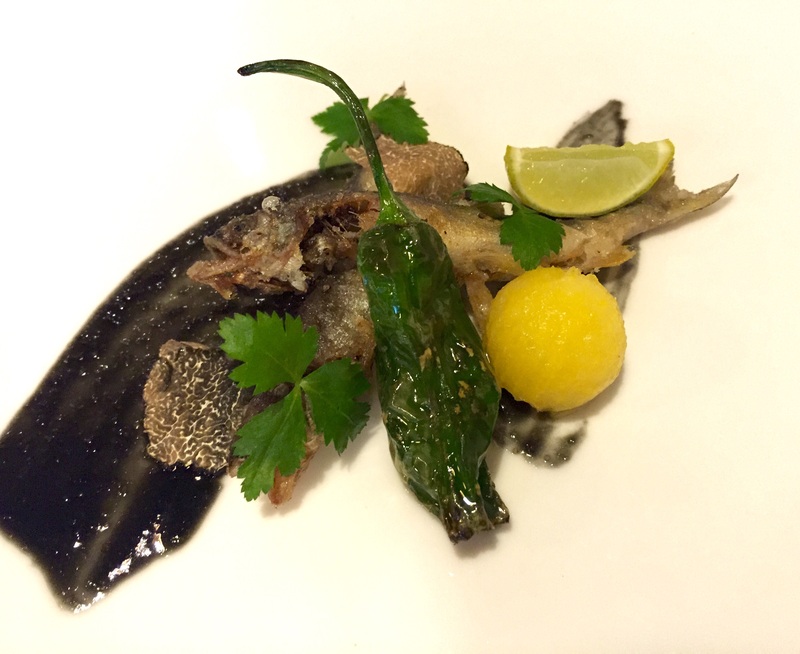 Fifth course: Japanese fried fish with truffles, shishito pepper, and charcoal miso sauce. Seventh course: finale (Toro or Wagyu), I got both and they are both amazing. 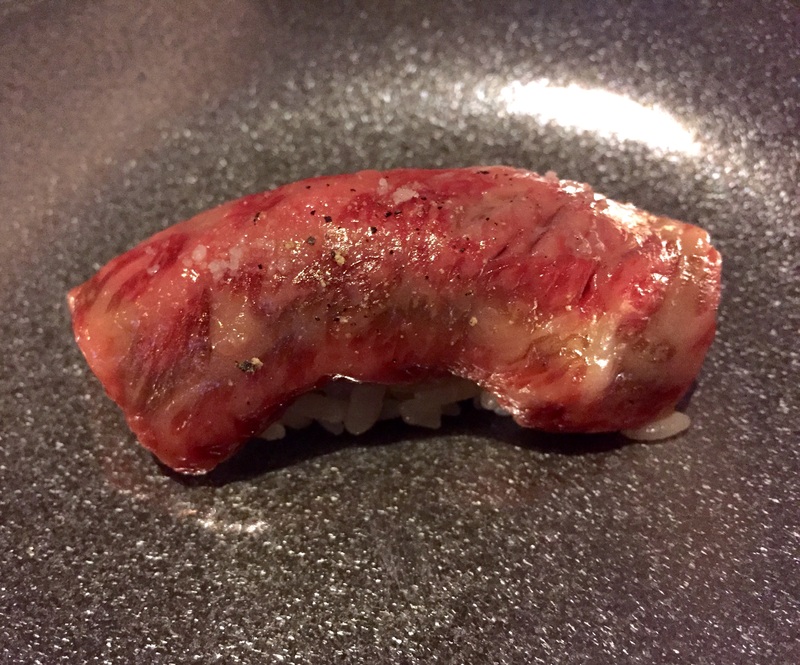 The Wagyu is 25% marbled and melts in your mouth! 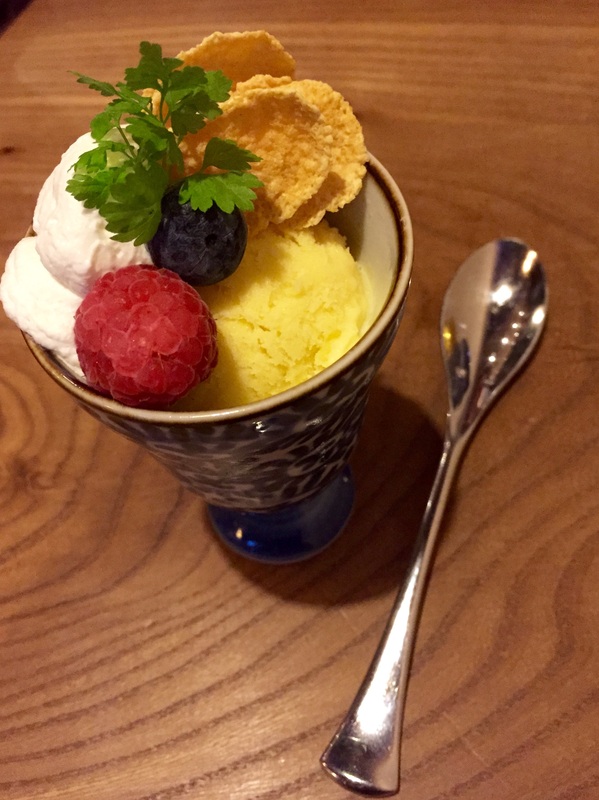 You always end a meal with Dessert! 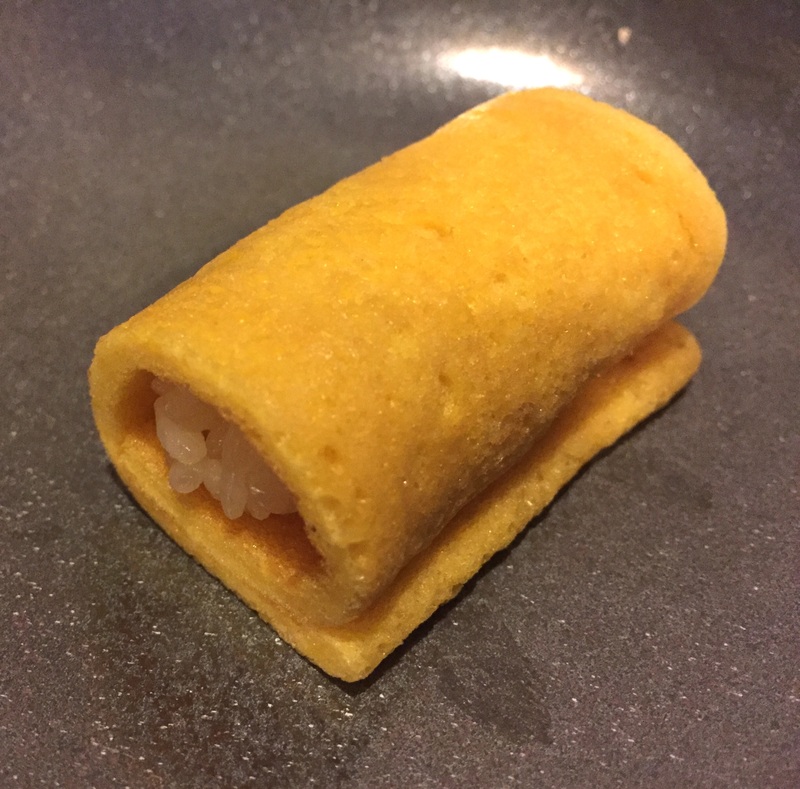 Lobster egg sushi (taste like cake!) and parfait.